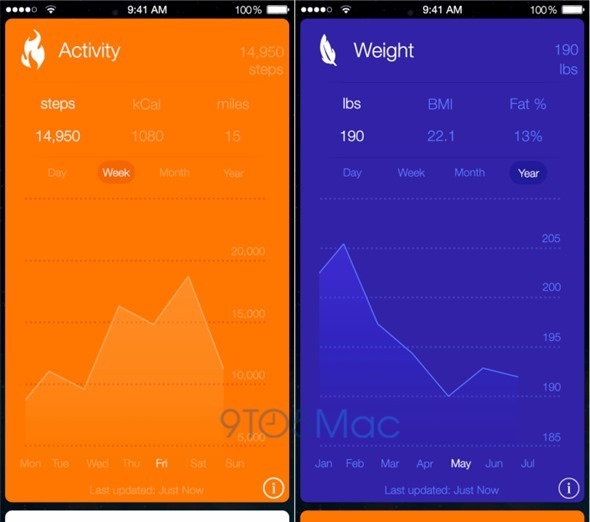 As well as offering some big improvements upon existing features, iOS 8 is expected to deliver some significant new implementations of its own, and with fitness and tracking-related devices and applications currently in vogue, it is thought that Apple will hop aboard the bandwagon with a new, native app called Healthbook. As the name implies, the app will be to fitness and wellbeing what Passbook is to vouchers and tickets, presenting the health-conscious with an all-in-one hub for tracking key aspects such as exercise, diet and activity. 9to5Mac first shed light on Healthbook a while back, and is now back with some more in-depth tidbits regarding the forthcoming app. While Passbook hasn’t quite made the impression upon iOS users that Apple may have liked, it’s fair to say that the app is rather half-baked, both in how limited it is and how little apparent effort the Cupertino company has put into promoting its use. 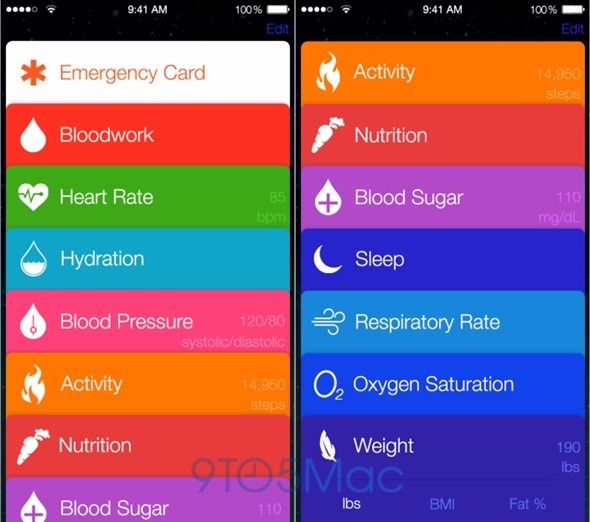 But with Healthbook, it’s already clear that this won’t be the case, and aside from borrowing its card-like interface from Passbook, will be packed to the gills with features tailored to active folk. Each separate aspect is given its own, color-coded card, according to 9to5Mac, making navigation particularly easy. But while this isn’t striking given how Passbook offers the same, polished UI, what is of note is just how much the Healthbook will be able to cover. From an activity point of view, 9to5Mac‘s mock-up shows how Healthbook will be able to monitor heart rate, hydration, blood pressure, activity, nutrition, blood sugar, sleep, respiratory rate, oxygen saturation and weight. The fact that the newer devices also pack the M7 motion coprocessor will be integral to the whole operation, enabling iOS device owners to track their movements at all times. With users also able to input their height and weight credentials from the get-go, Healthbook will be able to provide fairly accurate readings of how many calories they’re burning, how far they’re moving, and what kinds of improvements they’re making. Health-related products are always at the forefront, but with fitness apps and devices experiencing something of a boom right now, Apple looks poised to make a big impact later on this year. We’ll surely learn more of Apple’s Healthbook plans at this year’s WWDC, but in the meantime, check the source link for in-depth details on the current state of play.